The Centauro 2 fire support vehicle is a next-generation version of the original Centauro. It has a revised 8x8 chassis, and is armed with a more powerful 120-mm gun. Also it is better protected and has got a number of other improvements. This fire support vehicle is one of the most capable in this class. Most other vehicles are limited by their 6x6 chassis and carry smaller 105mm guns. Like the US-built M1128 Stryker Mobile Gun System with 8x8 configuration. However it is also armed with a smaller 105mm gun, as its chassis could not withstand the recoil of the 120-mm gun. The Centauro 2 provides the same firepower as most modern main battle tanks, armed with a 120mm/L45 smoothbore gun. This high-pressure gun is compatible with standard NATO 120mm tank ammunition. It is fitted with a very efficient muzzle brake, which significantly reduces the recoil. The gun is fed by a new automatic loading system. Ammunition is stored in isolated compartments. This fire support vehicle uses APFSDS, multi-role, and other munitions. The 120mm APFSDS round penetrates 600 mm of rolled homogenous steel armor at a range of 3000 meters. This new fire support vehicle has got a modern fire control system and the latest generation optics. It has a hunter-killer engagement capability. The commander uses a panoramic sight to search for targets. Once the target is selected the gun is laid on the target automatically and the gunner completes AI the aiming and firing process. During that time commander looks for the next target. 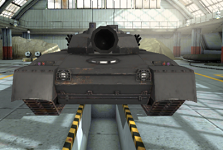 Such hunter-killer engagement method is present on all modern main battle tanks. It allows to acquire and engage targets faster. It seems that this fire support vehicle can engage a target within 30 seconds after spotting it. 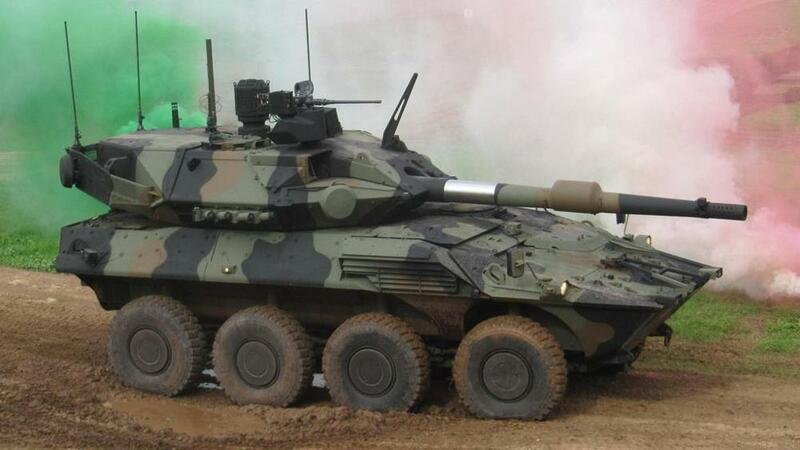 The Centauro 2 can successfully engage main battle tanks and other armored vehicles. However its level of protection is way lower than that of main battle tanks. Vehicles of this class usually do not engage main battle tanks head-on. The Centauro 2 uses a highly mobile 8x8 chassis. Comparing with the original Centauro, it is fitted with new engine, improved transmission, braking system and control electronics. This new fire support vehicle is powered by IVECO VECTOR 8V turbocharged diesel engine, developing 720 hp. - Engine is located at the front. - It is mated to an automatic transmission with 7 forward and 1 reverse gears. - The Centauro 2 is not amphibious. Edited by basmal121, 28 September 2017 - 06:39 PM. I would deem this more of a 55-65 MGS mainly due to the fact it would possess massive firepower and would be OP in the 55-40 range. Edited by Driver353, 31 October 2016 - 01:16 AM. Can this tank hover and fly?Oh and will it shoot Doritos? It sounds wicked, what country makes it?